I pull in ther western and northwestern pa area, and have pulled in the southwestern pa area as well. 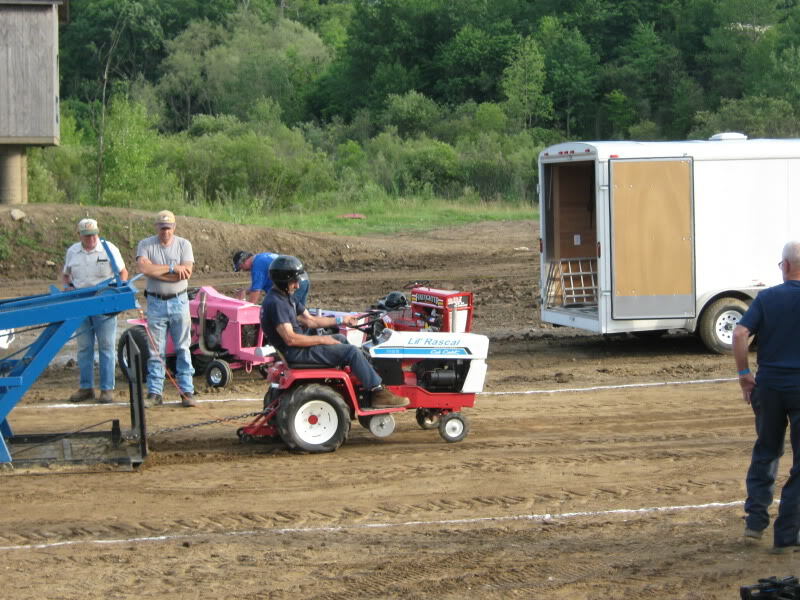 I pull aa couple tractors at each event, and have a lot of fun. 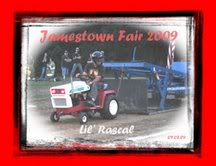 I have a Cub Cadet1100 12hp Kohler single stock tractor, (Lil'Rascal). 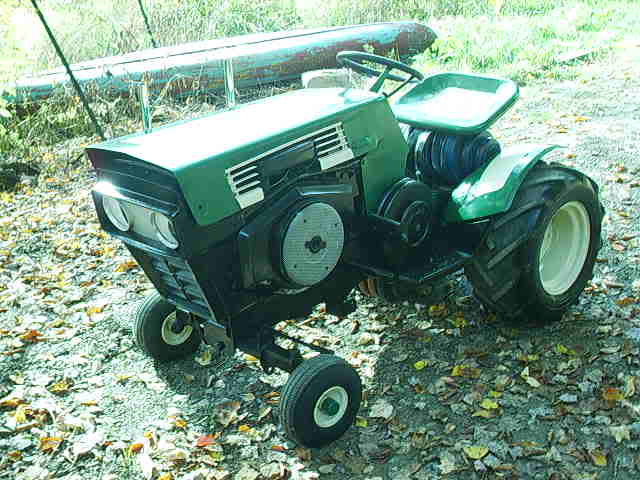 And a Sears suburban 16hp Briggs twin cyl stock tractor, (FROG). I have won one pull in the year i have been pulling, and a few 2nd and 3rd place pulls, that doesn't bother me as i am pulling for fun. I've met many nice people and this is why i compete. My tractors are completely stock, and will stay that way, If it wasn't for having fun i would not do it. I pull with Lake Erie Pullers and Groundpounders pullers. Are both tractors entirely stock from the factory? Right now I am pulling a stock chassis and a stock engine but they weren't sold as one. Thanks for the reply, The cub was a 1973 1100 series, It came with an 11hp briggs engine, i have a stock 12hp kohler in it, the original rear end was a 4 speed, it had a drive shaft from engine to a gear box and then a belt that run the rear, i believe that system was only made for a year or two, good for mowing but not pulling. I put the three speed rear in, it is locked. The engine is completely stock, it has a stock clutch with a red, 950 lb spring. The class i run in is 13hp and under, but they permit you to bore 30 over. I am not going to make any changes, for as i said, winning or losing doesn't matter to me. I am 71 and i am just having fun. I have met a lot of nice people and am having a ball. The sears tractor come with an 18hp twin flathead onan engine, it needs some work and i haven't taken time to get it running, but i should have it fixed by next season. The sears is kind of a fun tractor to ride, the other pullers like it and the fans always tell me they enjoy me bringing it to the pulls. Since it is under powered being a 16hp and running against 20hp onans and kohlers it doesn't have much chance of beating them, i have come in second a few times. I look at pulling as sport, knowone gets rich doing it. As long as it is fun i will do it. 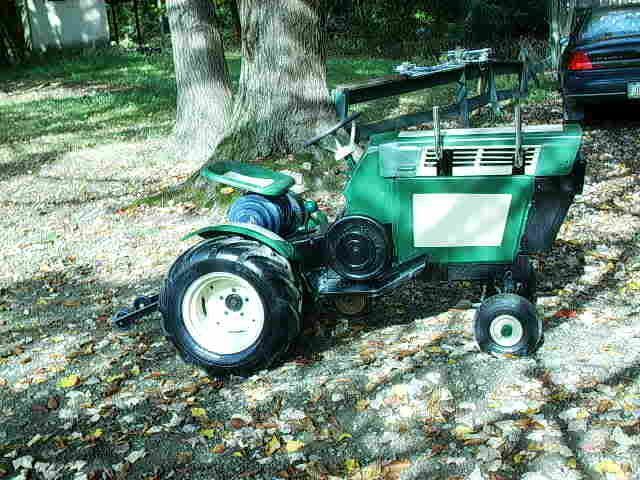 I have some other tractors that i have restored, i have two speedex tractors that i show, and a few more. If you all would like to see them i will post a few pictures. Thanks, Good luck with your project, looking forward to seeing it, Bob. Sure post them if you want, I'm sure everyone would enjoy seeing them.